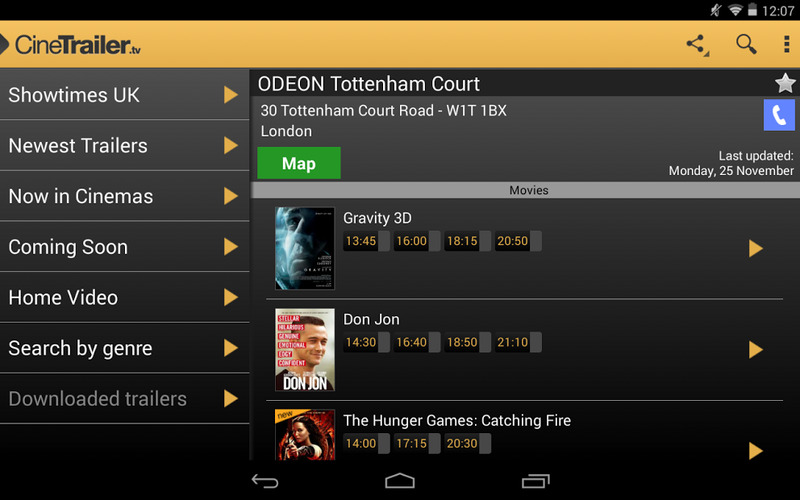 CineTrailer.tv app updates you about the latest movies you can find in cinemas and on DVD. Never miss a movie again. You can watch any trailer in HD and in your Chromecast device. If you can’t watch in HD, don’t worry, you can choose another resolution to fit your data connection! There are more things to do than just watch a trailer. You can check full film coverage: synopsis, cast, trailer, stills galleries and posters. Check for a cinema with showtimes for the present day, the next and the days after. And if you do register (for free) you will be able to vote a film, bookmark a movie or a cinema and watch future showtimes. Note: English movie listings refer to UK market (US market not covered). Choice among 9 languages and 11 european markets. You still can watch trailers if your country is not covered yet.